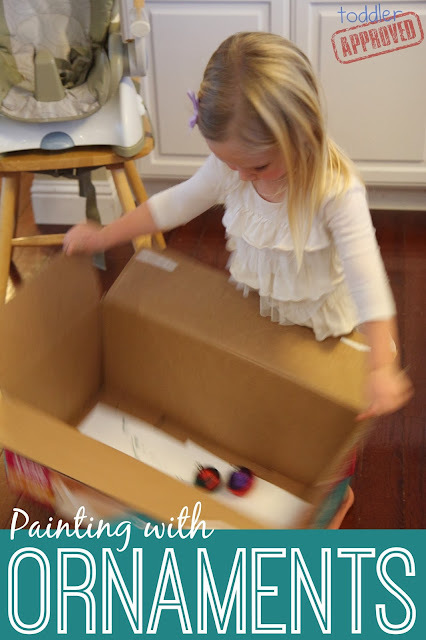 We loved jingle bell painting so much that I thought we'd try using a similar technique but a different object! 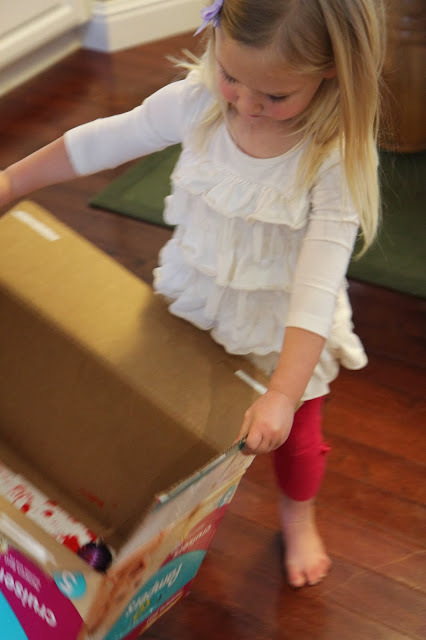 If you subscribe to our A Very Toddler Christmas Newsletter, then this activity isn't new to you and you tried this last week... but I bet your kids will want to try it again! We bought a package of plastic ornaments at Target last year that have been fun to explore and roll down ramps, so I thought we'd try painting with them. Painting with ornaments is a great full body painting activity since it involves a lot of shaking and moving. Just turn on your favorite Christmas music and shake away! All you need for this activity is washable paint, a few plastic ornaments, a big box, and some paper. We also used a paper plate with paint on it to help coat the ornaments. Put some paint on a plate and roll your ornaments in paint a bit. 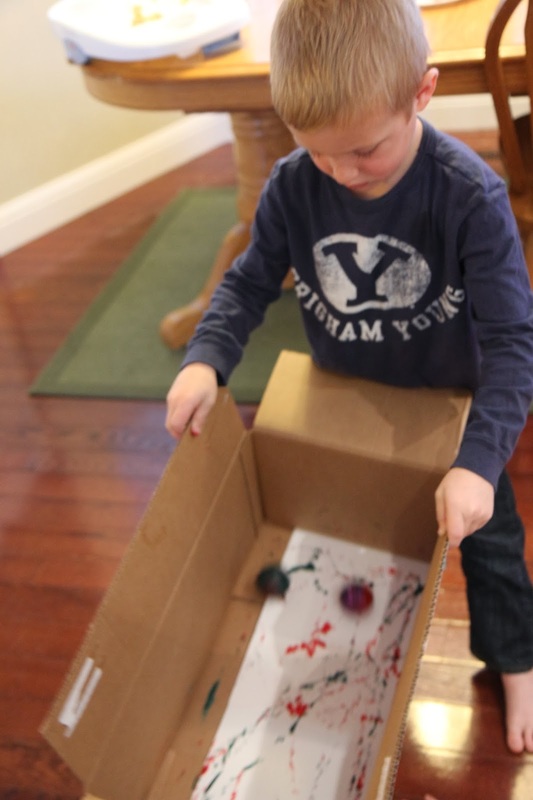 Drop the painted ornaments in a big box lined with paper and start shaking it! The designs the kids made were BEAUTIFUL and they wanted to just do it again and again and again! Have you tried this yet? What other things have you put in a box and painted with before?